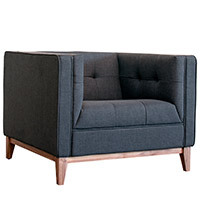 Seating allows you to rest and relax while still conveying your refined sense of modern style. Larger forms of seating like sofas and lounge chairs often act as foundation pieces of decor in living rooms and great rooms. Smaller seating, such as side chairs, arm chairs and stools, supplement those larger pieces to provide an opportunity to inject a real pop of designer style and unexpected splash of color into otherwise understated decor. The selection of chairs found here are generally clean-lined and monochromatic, allowing you to accessorize as desired. From homes inspired by the mid-century to those that follow a more traditional aesthetic, you'll find a style of seating here you can't help but want to sit in. Almost every room of the home benefits from additional seating. Whether you need a set of chairs to entertain in the dining room, a lounge sofa for the living room or a decorative bench to successfully accent your existing decor, plentiful and stylish seating is appreciated anywhere. Sofas and side chairs form a welcoming conversation area in the living room, especially if you decide to furnish your living room with iconic pieces with a rich design history. Dining room chairs encourage guests to linger at the table long after the dinner party has ended. And ergonomic desk chairs keep you comfortable until your work's done. These task chairs are at once comfortable, breathable and really good looking. Kitchen counters become more than just common workspaces thanks to eye-catching counter and bar stools and kick your feet up in comfort with an ottoman or stool. You can't forget about outdoor chairs too. The use of weather-resistant materials with some chairs means you can even bring the comfy style of modern seating safely outside. Living, lounging or entertaining, everywhere warrants a place to sit. And this assortment of chairs, stools and sofas spans a wide variety of interior aesthetics. Mid-century and retro-inspired living areas benefit from lounge chairs and sofas found in the Gus Modern collection. Blu Dot is a go-to choice for contemporary seating options you can add anywhere to your home's decoration, indoors or out. 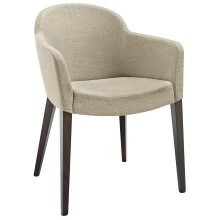 At the dining table, comfortably seat your dinner guests in a luxurious Italian-made chair from Calligaris. The Calligaris collection also includes several dining tables, making it easy to re-decorate your dining room with consistent style. Make a statement in any room with an iconic chair from Vitra like the well-known Panton Chair, La Chaise, Ant Chair or Series 7 Chair. And finally, on the porch, deck or patio, look to an Acapulco Chair from Innit Designs to give your outdoor living space a splash of color. Making the right choice of seating for the rooms of your home depends on the size of the space, your preferred aesthetic and your existing decor. 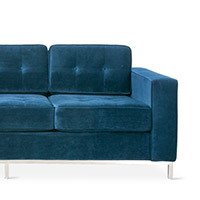 In living rooms, decide if you need a large sofa, a sleeper sofa or a sectional. Notably larger than most sofas, a sectional will require more room to stretch out. 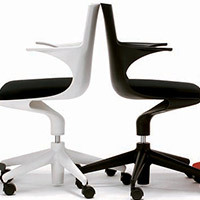 In the office, be sure the task chair you like is appropriate for your existing desk or work space. 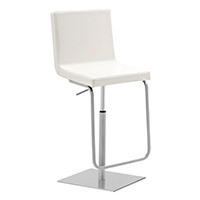 Measuring the height of your kitchen counter is important to finding the right pair of counter or bar stools. Materials, fabrics and colors are important in your decision too. You'll find elegant stained wood options and plush, upholstered pieces to furnish the entire home. Once you know the size of seating you can successfully accommodate, the style you prefer and colors to blend in with your existing color palette, you're ready to add new chairs to your decor. If you have any questions about the contemporary chairs, sofas and seating featured here, please call our furniture experts at 877.445.4486. Go for a playful and fun look with a classic bean bag chair from Fatboy. Fatboy's Original Bean Bag Chairs are available in a large number of colors and create a youthful appeal in any room they are placed. Consider pairing your modern seating furniture with similarly stylish floor lamps to create cozy reading areas. After all, what is a living room without a good looking chair and reading lamp anyway? 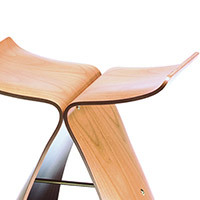 And in so many contemporary furniture configurations, seating just seems to naturally gravitate around tables. 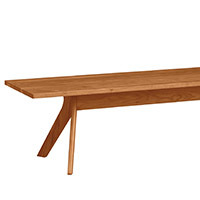 You'll find tables for the dining room, home office, living room and bedside.